We are pleased to offer 3 types of vehicles, The Sedan, The Executive SUV, and The Mercedes Sprinter. Our vehicles are "State of the Art" models with all of the luxury features you would expect from a world class limousine company. The new Mercedes Sprinter sets new standards in safety, quality and spaciousness. Designed with the traveling executive or VIP in mind. 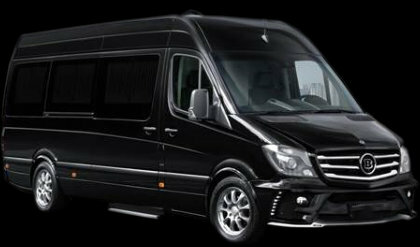 The 11 passenger sprinter is the new age of limousine’s as well. Our XL Mercedes Benz Sprinter extended cab offers more room for luggage, mobile theater surround sound, iPod and HDMI inputs, power outlets, Bluetooth accessible, and privacy tinted windows.